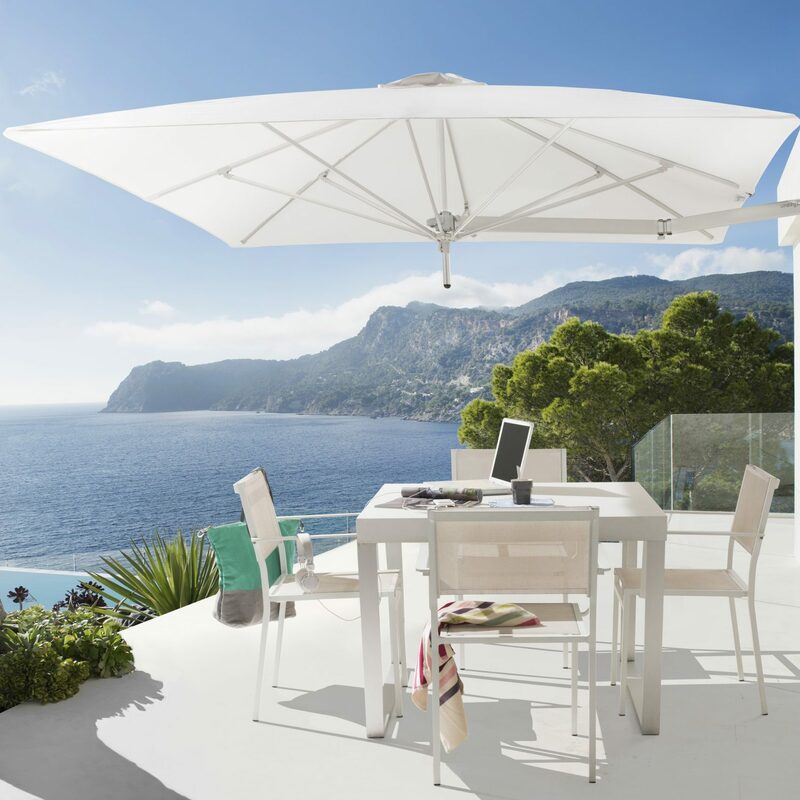 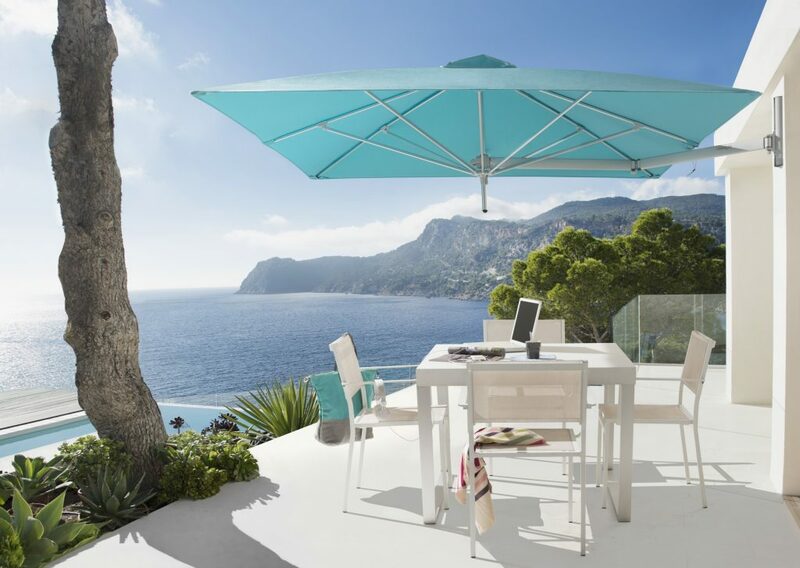 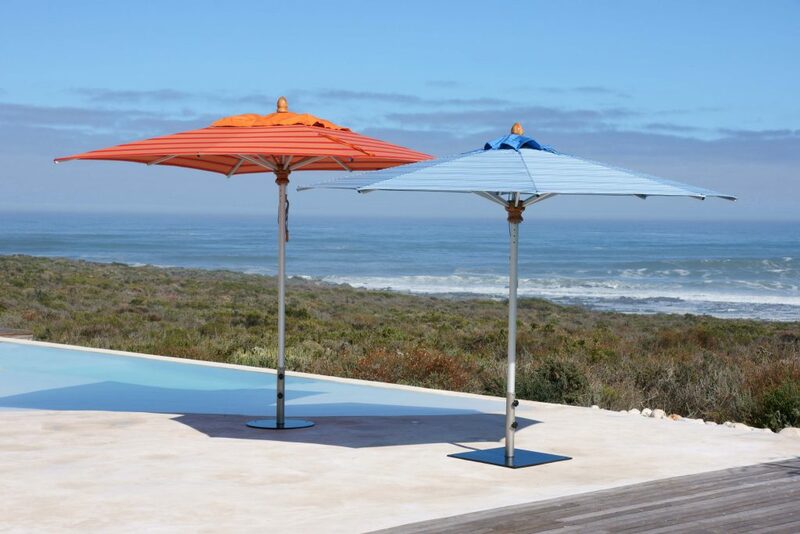 A new umbrella system with options for greater flexibility and shade coverage. 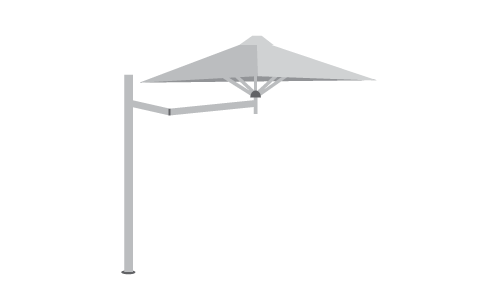 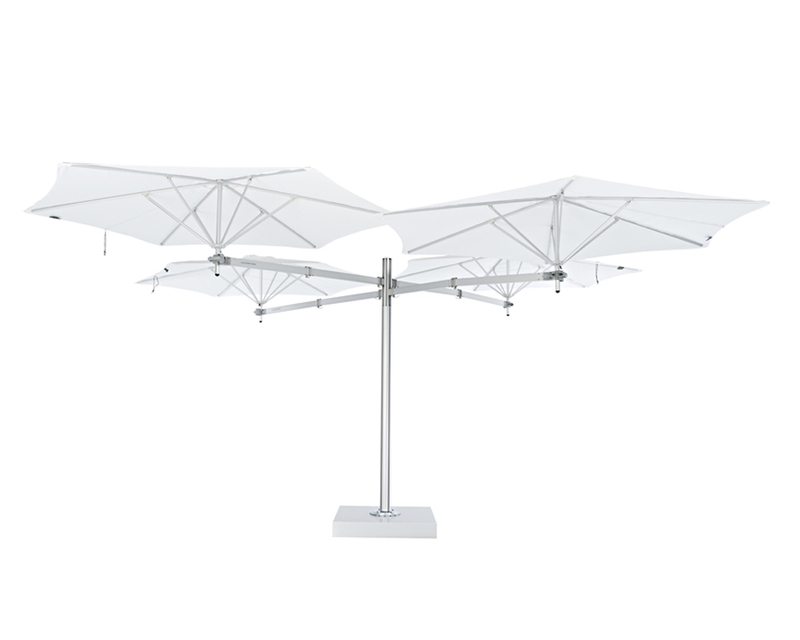 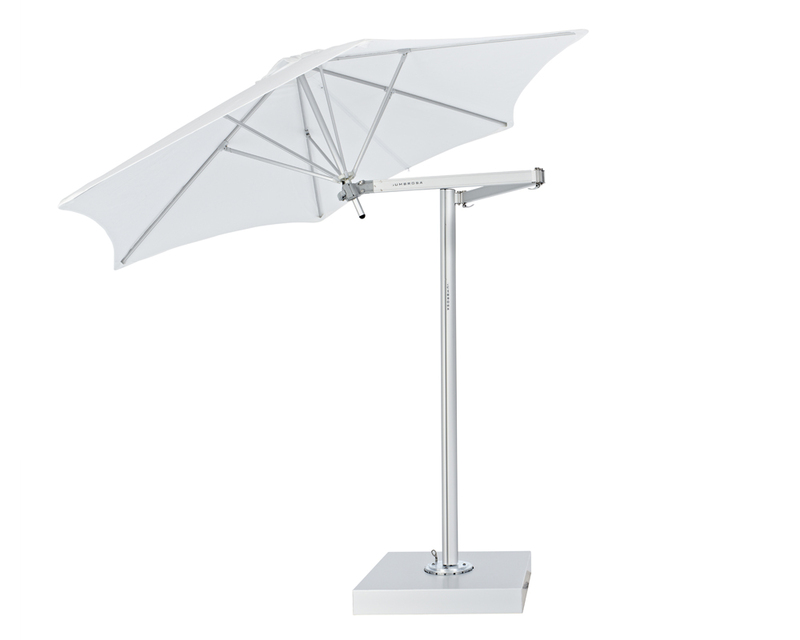 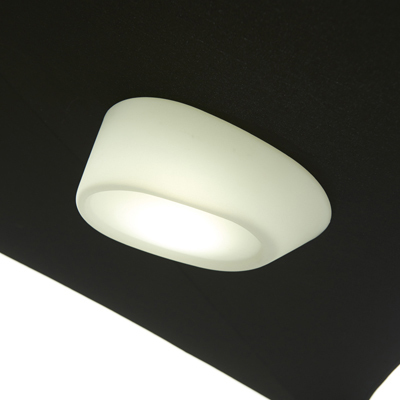 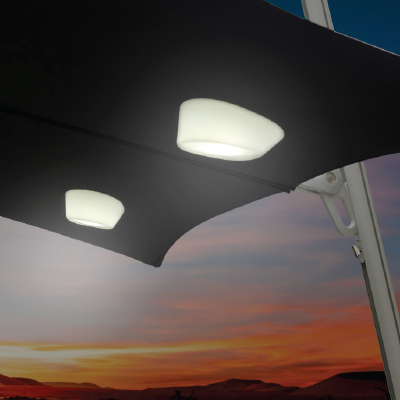 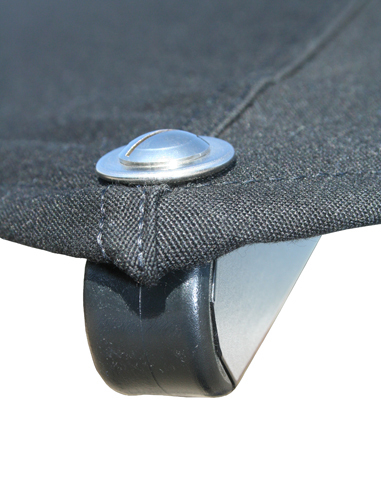 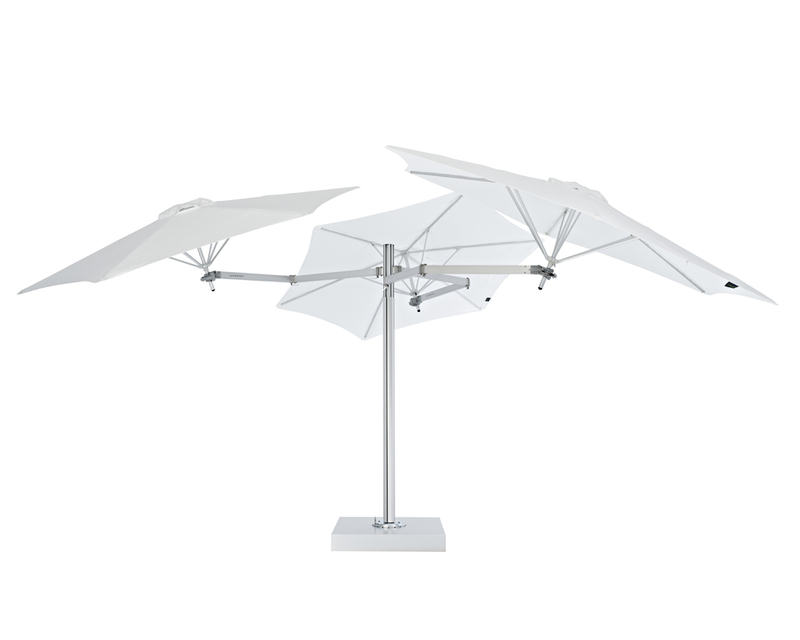 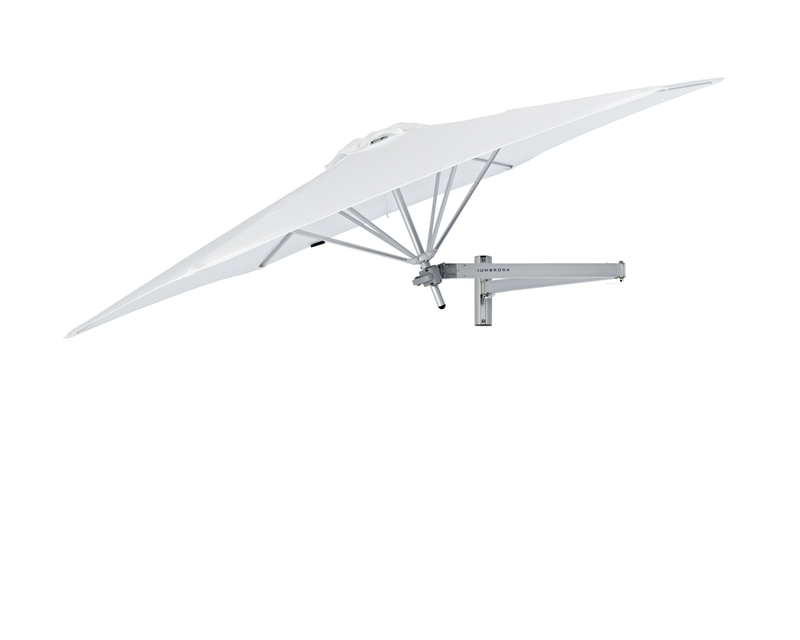 The Evolution wall mount umbrella is designed for ease-of-use and more shade coverage. 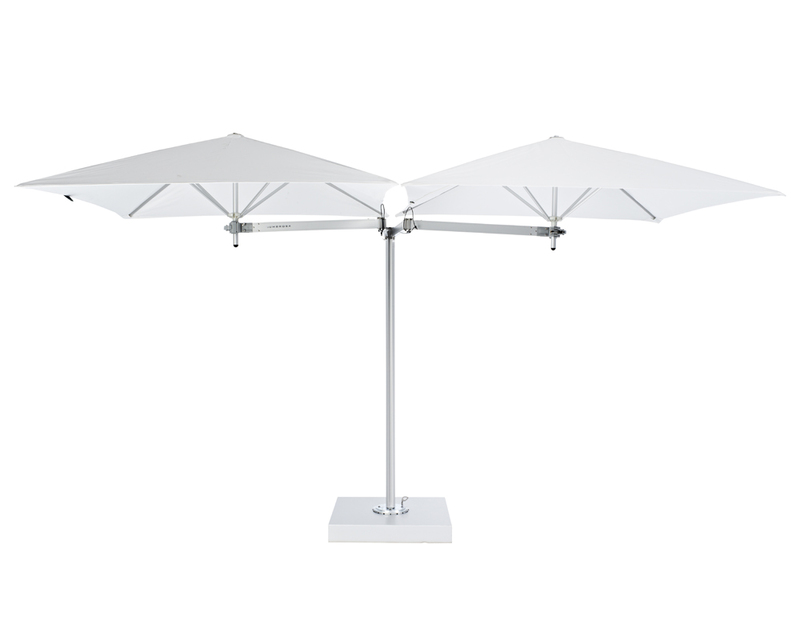 The updated, articulated arm and holder, allows umbrellas to be finely adjusted. 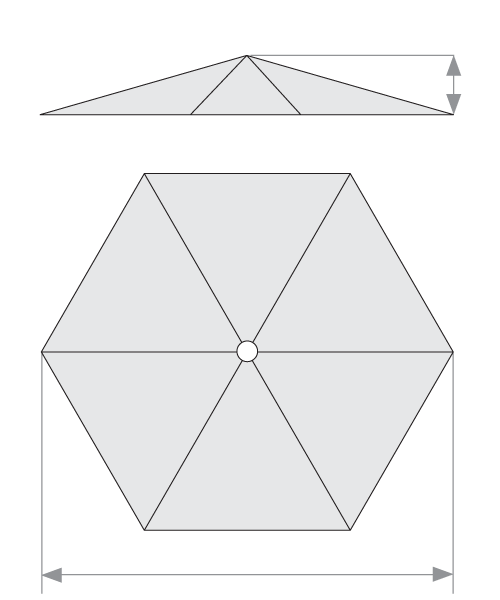 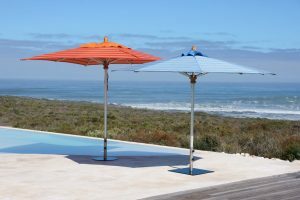 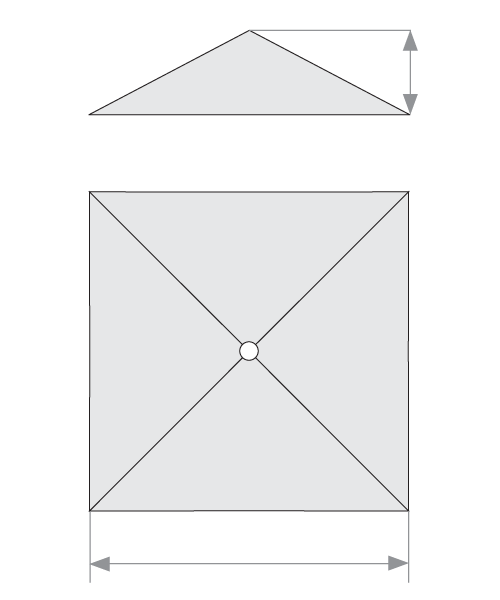 Evolution offset outdoor umbrellas – Monoflex and Duoflex – are pole mounted, and offer a unique approach to shading where flexibility is required. 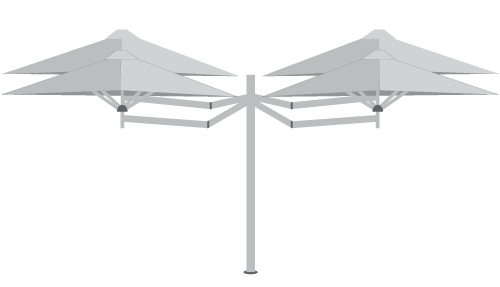 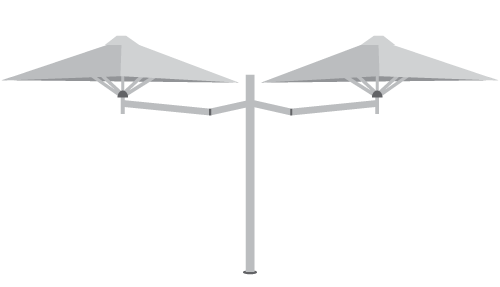 The Duoflex allows two umbrellas to be mounted to a single pole or a Multi Pole for multiple track use. 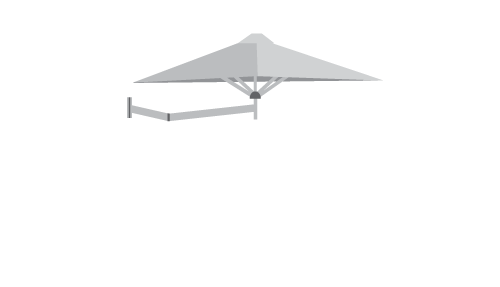 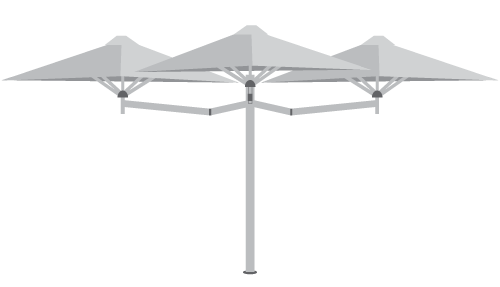 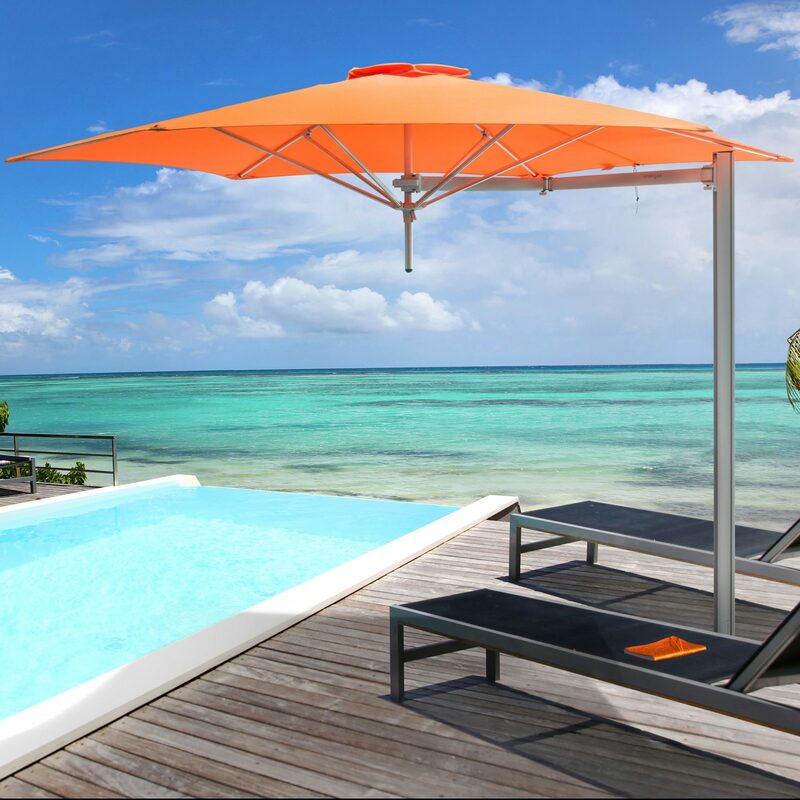 Evolution Multiflex 3, 4 and 5 umbrellas provide shade for large areas with great versatility. 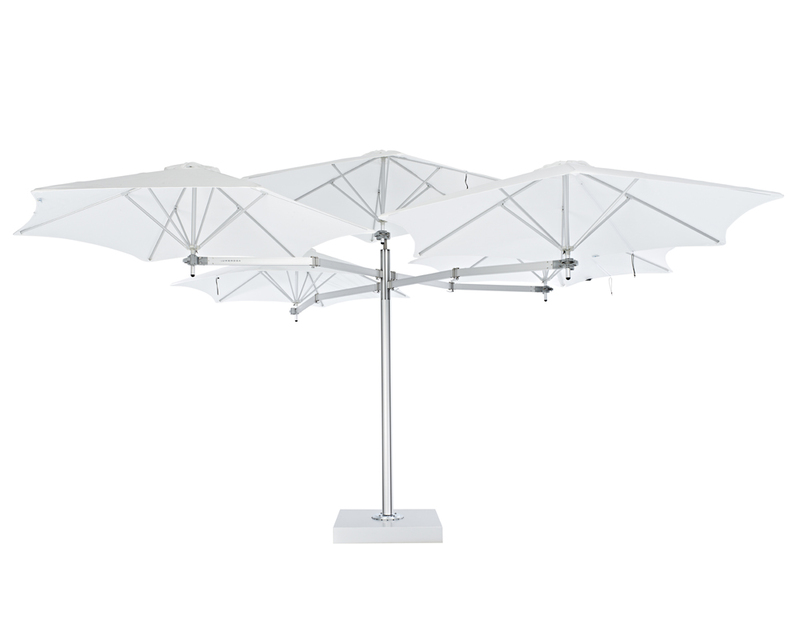 With the Evolution Multiflex 5, the fifth umbrella fits beautifully on top of the pole with the other 4 arms and canopies around it. 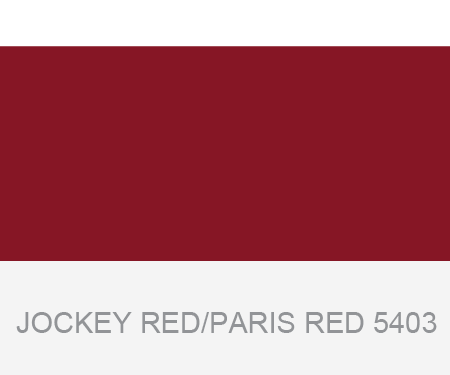 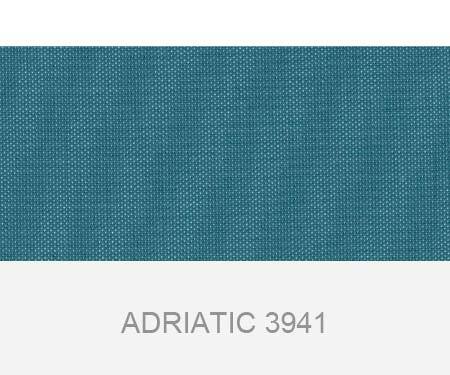 Solidum® upholstery-grade fabric is woven from 100% solution-dyed acrylic fiber (250 gr/m2). 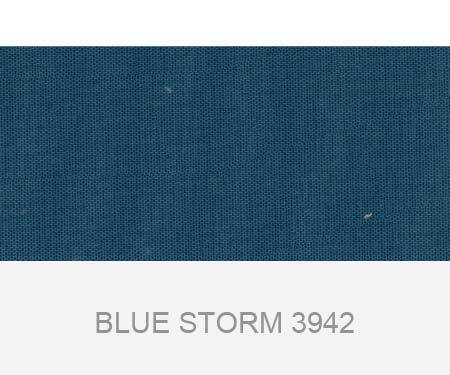 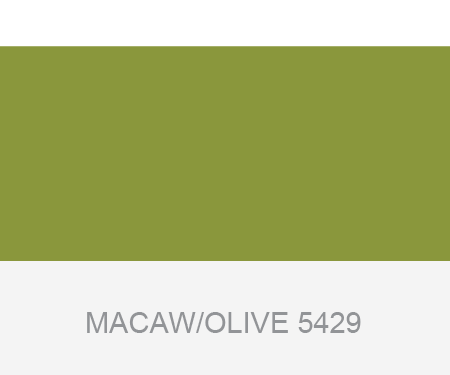 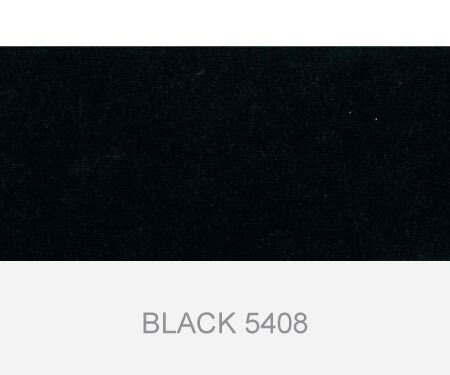 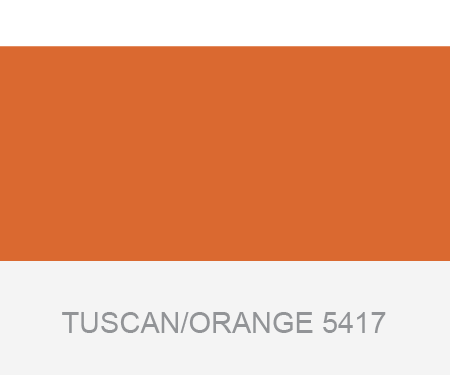 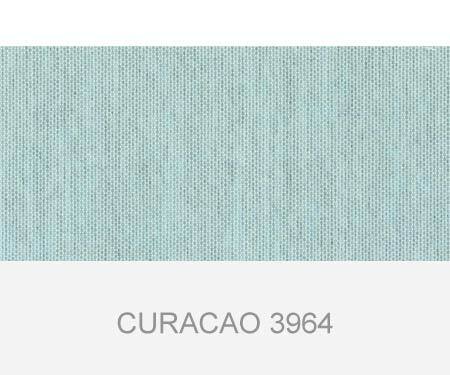 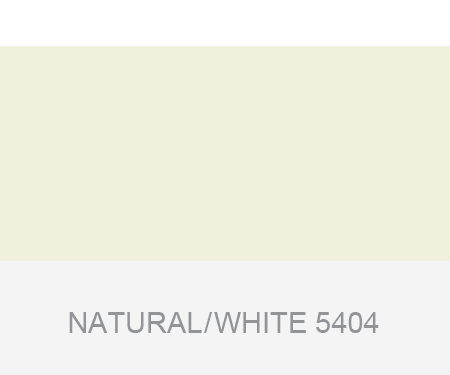 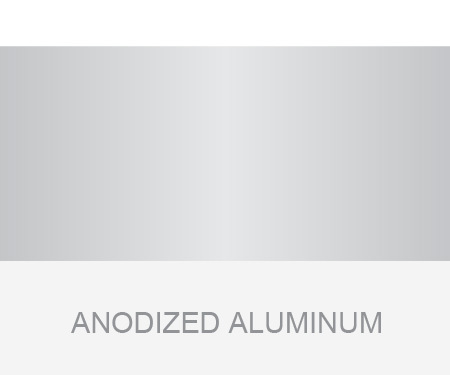 This quality European-milled fabric is mold, mildew, fade, and water-resistant. 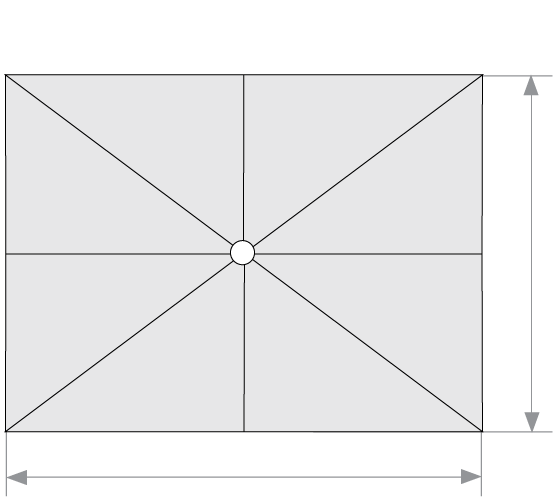 UV 7/8 Max 8. 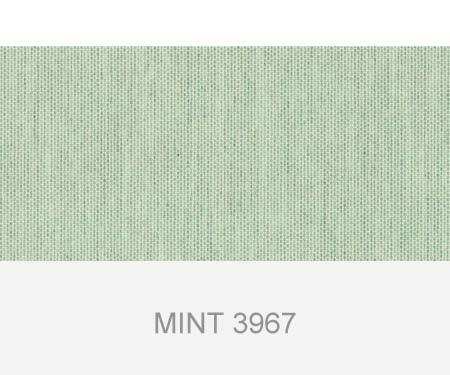 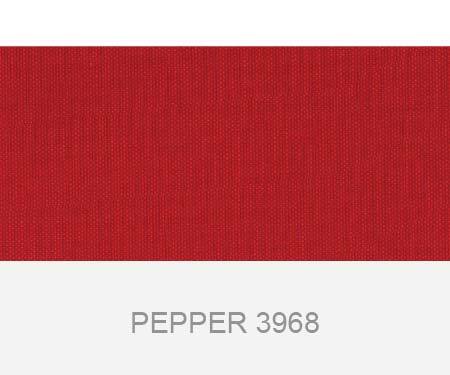 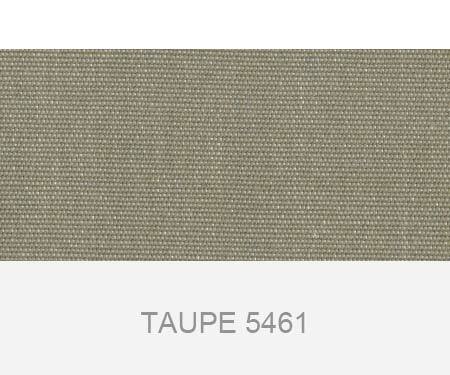 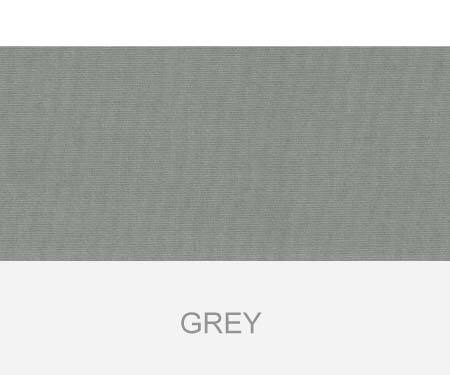 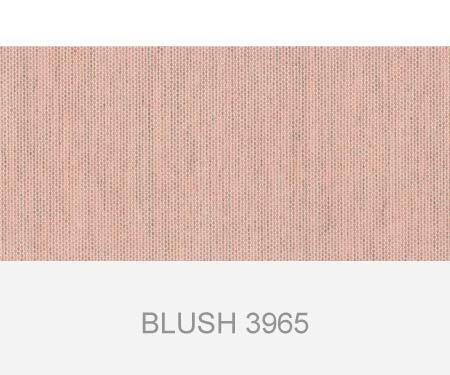 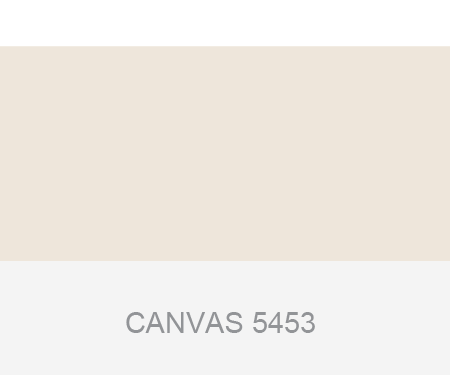 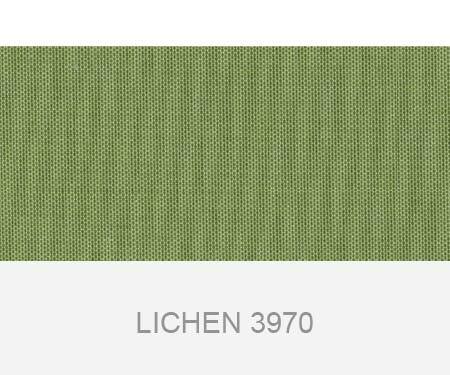 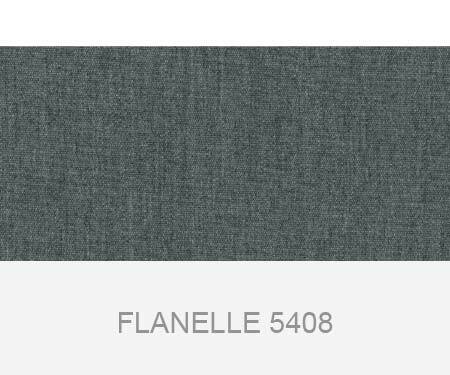 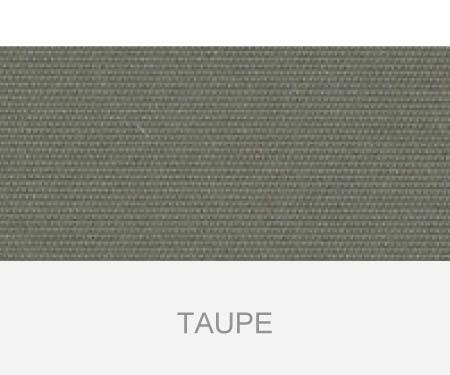 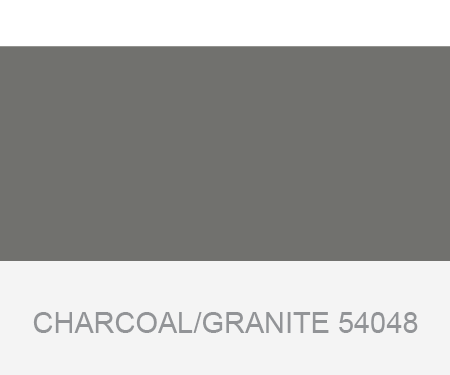 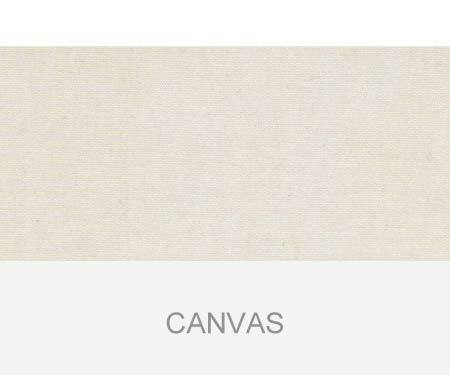 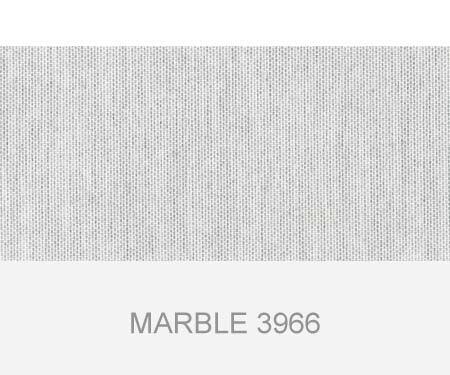 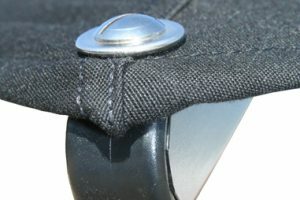 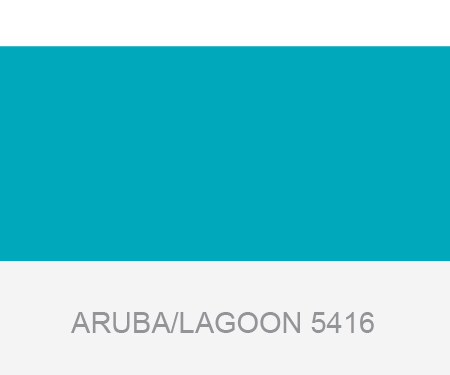 Sunbrella® upholstery-grade fabric is woven from 100% solution-dyed acrylic fiber (270 gr/m2). 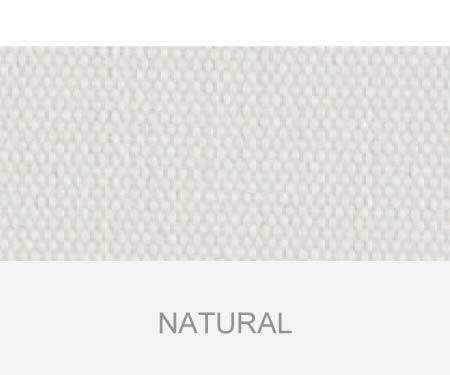 This quality American-milled fabric is mold, mildew, fade, and water-resistant. 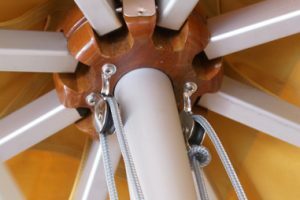 UV 7/8 Max 8. 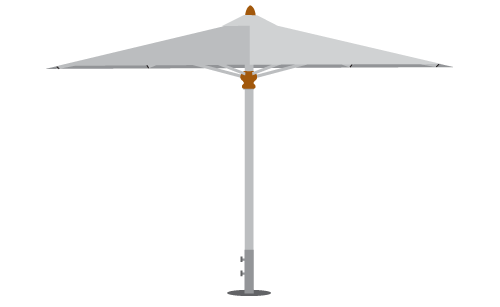 Spigots are mounted on the following bases. 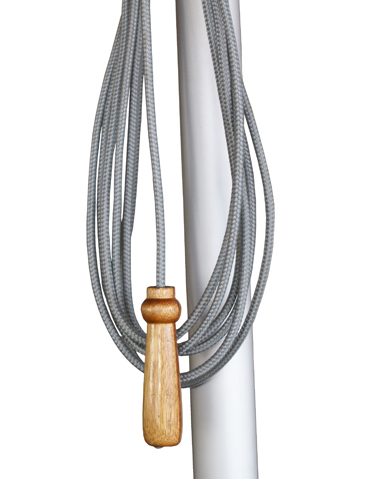 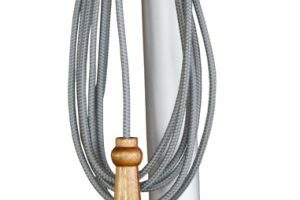 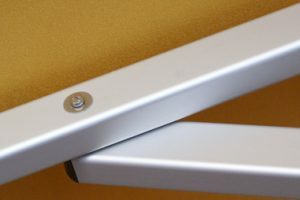 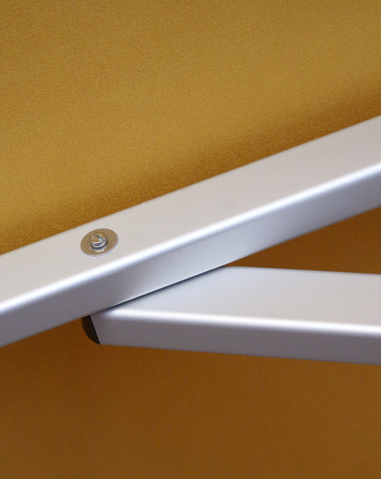 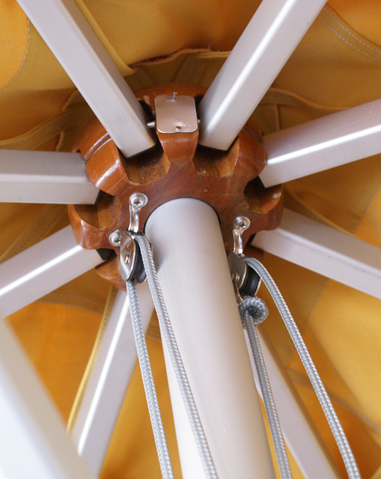 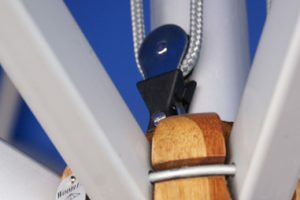 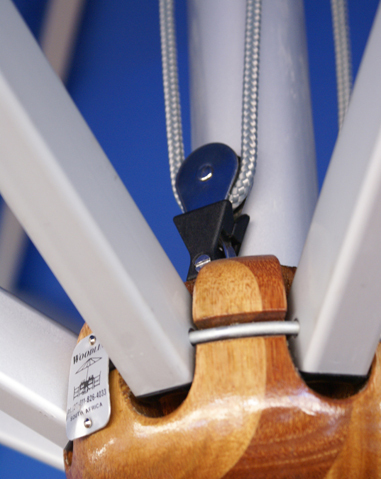 The umbrella frame slides over the spigot and locks into place with a set screw. 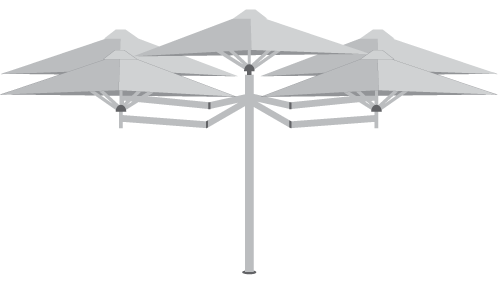 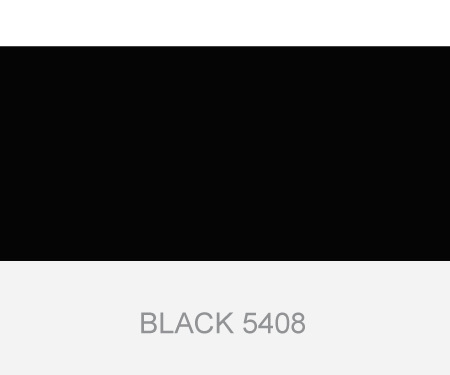 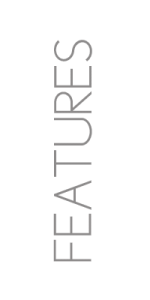 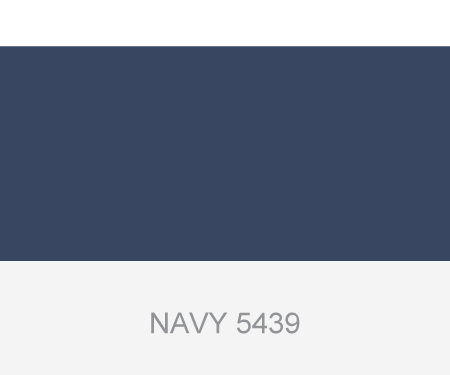 The style of umbrella chosen will dictate the type of spigot included.